What do you think about ‘Thank You’ notes and, maybe, adding a live weekly video chat to this blog? I have two items I want to hit you with today, on both of which I’d love your feedback. The Employer Handbook Live Stream? I go live on Facebook, Instagram or YouTube and answer those questions while engaging with viewers for about 15 or 20 minutes. Picture the 15-20 minutes after I present at a SHRM event when HR folks bum rush me with their questions, except more curated, less crazy, and I won’t feel as guilty when I roll my eyes. I’d like your feedback on this idea. Take this 1-minute poll and let me know what you think. Then I started reading the comments. Then I stopped reading the comments so that I could pop some popcorn. Then I got back into the comments. Here’s my take: I like ‘thank you’ notes. 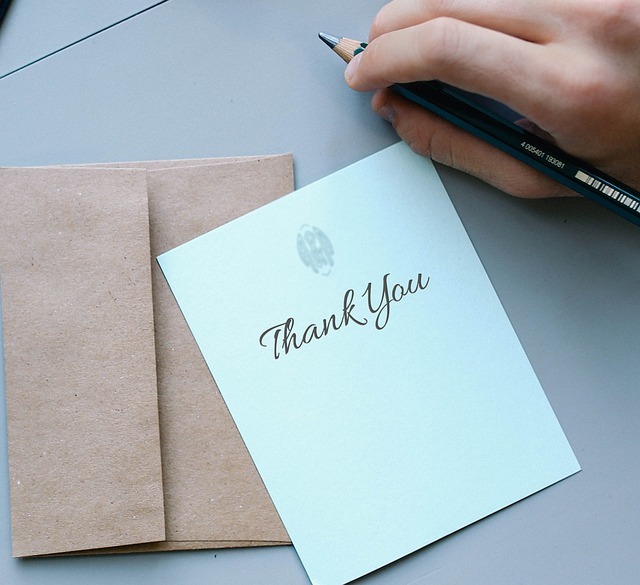 A well-written thank you from a candidate is a check in the ‘hire me’ column. That’s especially true if the candidate can use the note to connect a conversation from the interview to emphasize his or her fit for the position. That’s an effective tool. But, no ‘thank you’ note isn’t a dealbreaker. If you’re the best candidate for the job, you’re getting the job either way.